We’re happy to announce that WhatsApp will no longer charge subscription fees. For many years, we’ve asked some people to pay a fee for using WhatsApp after their first year. Did, you know or not – WhatsApp was not free at all. Just go to Settings -> Account -> Payment Info. You may be get worried of the fees that need to continue the usage after 1 Year. But, don’t worry. 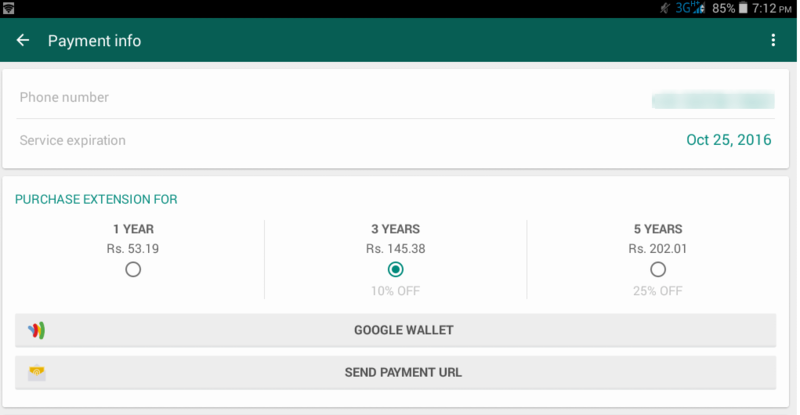 WhatsApp has an offer for you. That is – they are going to make it free. But, will you notice some Ads on WhatsApp screen.? Naturally, people might wonder how we plan to keep WhatsApp running without subscription fees and if today’s announcement means we’re introducing third-party ads. The answer is no.! Previous: Previous post: Is it the Right Time to move Your Business to the Cloud?